This summer you are acquiring a great sage. The last six years of my dance career have been the richest due in large part to the tutelage and guidance of Christine Wright. I know I can speak for the majority of her students when I say the treasure you are about to receive is special beyond comparison. This letter is mainly a personal note from me to you. However, on account of the many outpourings of affection for this wonderful master it wouldn't be too bold to say my words come from a whole host of dancers across several disciplines in the concert dance community. Appreciate her because she won't ever allow you to take this craft for granted. She will always demand your musicality be led by your own sensitivities. Or as she has refers to it often as "the place deeper than your personality." And she won't give up on you until she sees you are on the right track. "No one ever wakes up in the morning and says, 'I want to be mediocre!' ", she once ruminated. She always expected us to desire our greatest selves as artists. And she'll ask the same of you. We thank her for that and with her encouragement you will soon begin to peel away more layers revealing that honest "tone" that we all seek as individuals and as artists. She might tell you the inspiring story that made me realize I found the perfect teacher. Her passion to keep going and developing as a dancer was so strong and intelligent. She felt much like most of us do that despite the limitations of our bodies we must continue. But how with these legs that won't turn out or go any higher? Or with these feet that won't point? How with this body that doesn't match the aesthetic of fill in the blank? With quality, she says. With musicality, she emphasizes. And somehow when she says it you believe it. Sometimes we forget that dancing is a physical experience. Christine reminds us that what goes on in our intelligent minds won't necessarily inform our movement. It's the body's instincts that convey our expression. In doing this she's helped us broaden our expressive repertoire and inspired our drive to become more honest. Aesthetics are crucial but she's also brilliant at recognizing what you need technically as a dancer. Study with her and over time you will not only notice a significant improvement in your articulation as an artist but in your technique as well. The individual attention she gives to her students demonstrates her sincere passion for teaching. When she talks to you there's a feeling that she's paying closer attention to you than anyone ever has. As if the class exists solely for your benefit. We adore Christine Wright because she's given so many of us the one thing that we desire more than anything as artists: The ability to feel and subsequently develop our own "tone", our voice. And when that voice does surface, doing all the work for us, she always manages to discover something else to challenge us with. This gift has not only helped me to distinguish myself among my peers as a dancer but also as a creator of movement. It's a trait that requires constant refinement. With Christine everything including refinement becomes an experience of flow. Cherish her because we will miss her dearly. We pay immense gratitude to her for helping each of us project our individuality as humans. We know you will too. 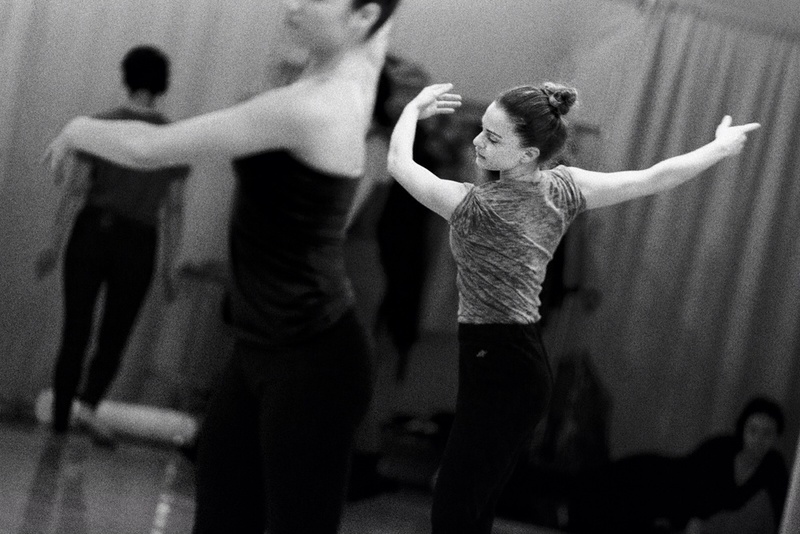 Christine Wright's last day of teaching full time in New York City will be at Gibney Dance at 10am on July 25, 2014. She will begin teaching for Peggy Baker Dance Projects August 18, 2014.